Bild is a German media platform that disseminates information on a wide range of topics to German speakers and readers. The Bild website contains sports, news, politics, lifestyle and auto news, to name a few categories. Many people depend on this news outlet because of its fame and reputation for accuracy in providing information and entertainment. Like other news website, Bild contains most of the news videos that TV views watch on a daily basis. It also carries celebrity and sensational news, like other tabloid do. The world of news and entertainment is a rapidly changing one. What was in vogue yesterday is irrelevant or less important today. In essence, Bild cannot retain videos on its website for long. Considering Bild fans miss a lot of information as they move on with other aspects of life, downloading Bild videos to watch at one’s convenience is necessary. 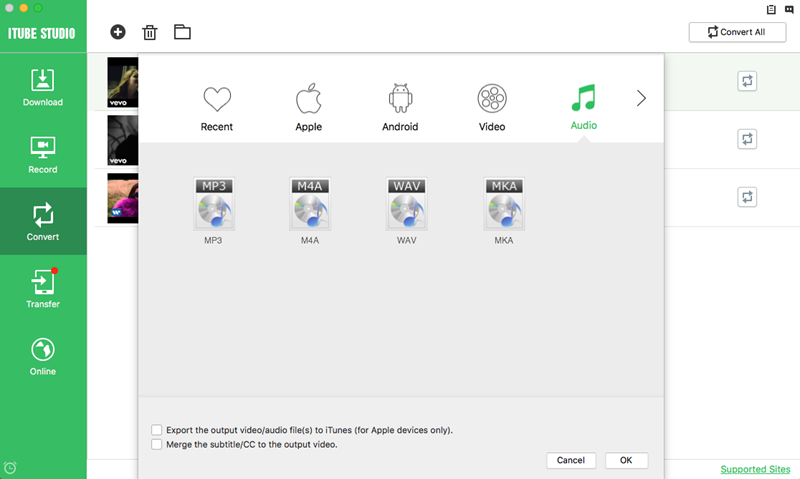 Here iTube Studio is the highly recommended Bild downloader. All you need to do is to select you favorite Bild video and download it in one click. It supports download from 1000+ video sites like YouTube, Facebook, Movieclips, Niconico, Adobe TV, etc. 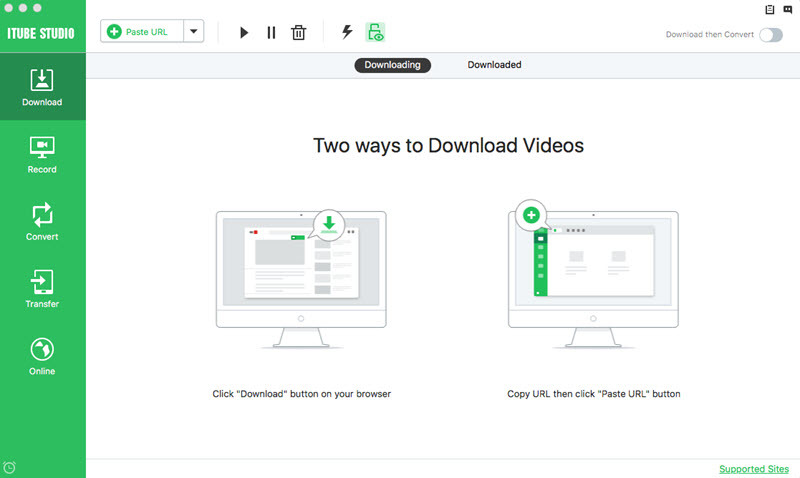 This Bild downloader also can convert video into any preferable format. Click the “Free Download” button to get the program file. And follow up the instruction to set the program on your computer. The program will run automatically after installation. On your browser, go to Bild site to find your favorite video. When you play the video, a ‘Download’ button will appear on the top left hand corner of the video window. Just click on that button and the video will be downloaded. There are other ways to download Bild video. 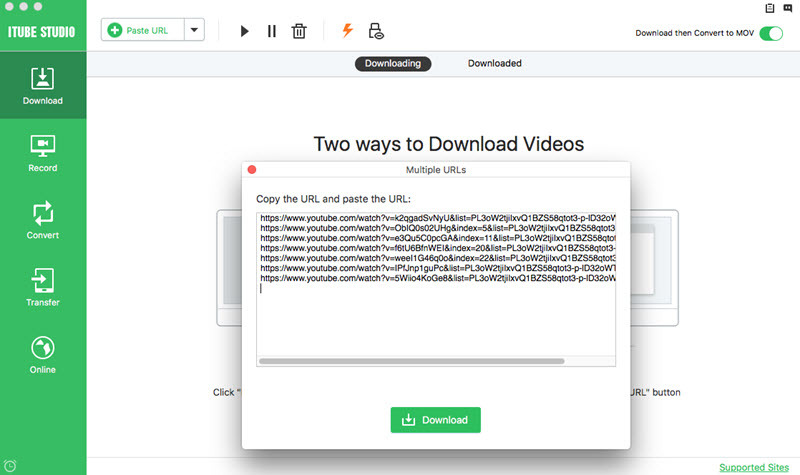 Simply drag and drop the Bild video URL to the program interface, or copy and paste the URL to the program, iTube Studio will start downloading the video. iTube Studio is also designed to convert Bild videos. If you have devices that cannot play the file you have downloaded in the current format, find the "Add to Convert List" tab that is located beside the video under the “Downloaded” tab. Click on it to add the video to the "Convert" tab for video format conversion. In the "Convert" tab, click on the “Convert” or "Convert All" button, and make use of the prompts that follow to transform it into the format you like. Tips: Watching the video you have downloaded is easy. Double click it and let the inbuilt HD player accentuate your experience.